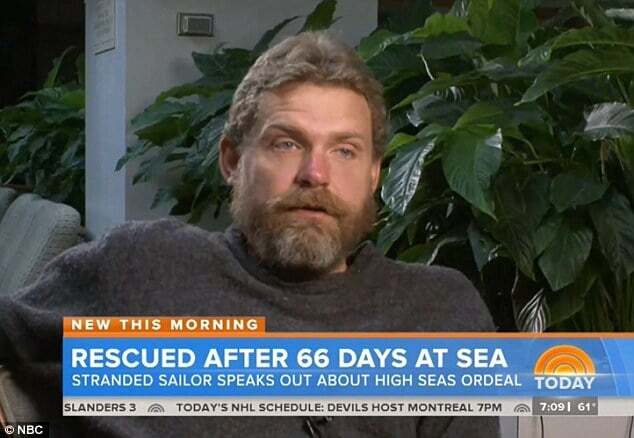 Louis Jordan, sailor cast out to sea 66 days survived off raw fish, rain water. 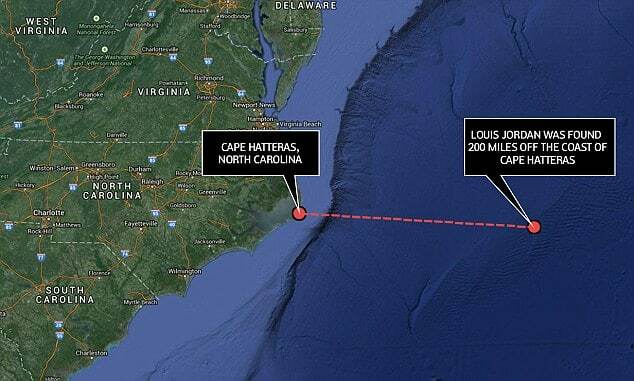 Louis Jordan a 37 year old sailor marooned in sea for more than two months has been found alive and well off the coast of North Carolina. 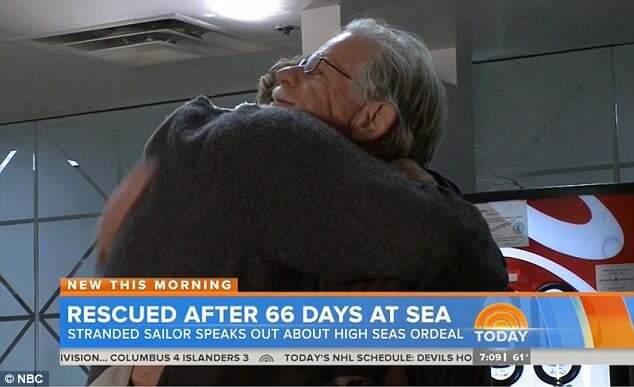 Picked up by a German flagged ship Thursday 66 days after a fishing trip left him stranded out in sea the man was found sitting on the capsized hull of his sailboat, Angel, 200 miles east off Cape Hatteras. 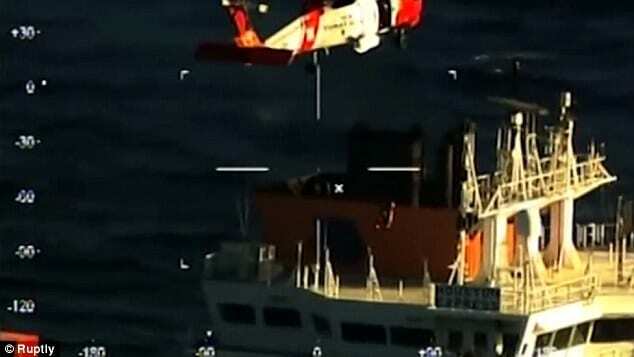 Upon his discovery a coast guard helicopter airlifted the man to hospital in Norfolk, Virginia told Coast Guard spokesperson, Lt. Krystyn Pecora. Despite the trauma of being cast out to sea the only injuries the man suffered included a broken collarbone and dehydration. Surviving by drinking rain water and eating raw fish authorities told it did not appear the man lose a dramatic amount of weight. During his ordeal Louis Jordan told he repeatedly read from the Bible from cover to cover, adding that his stay out in the ocean seemed longer than 66 days. The man would add whilst stranded he would dream of eating barbecue and organic ice cream. The fisherman’s mother Norma Davis, said it had been an emotional two months and that she had given up hope ‘many times’. 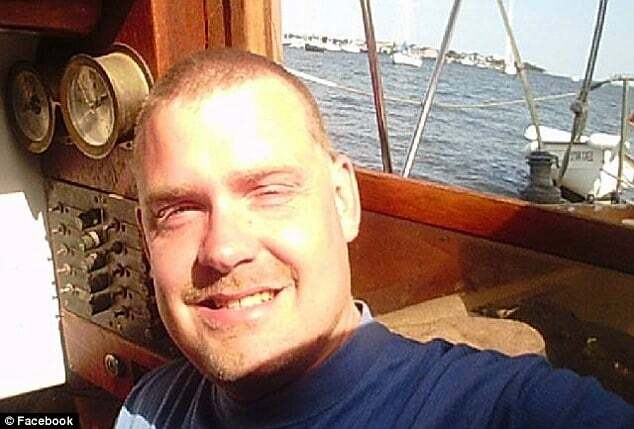 Jordan’s 35-foot sailboat had drifted out into the ocean and capsized, snapping the mast which he would not be able to repair as a consequence of broken collarbone. He waited for the shoulder to heal slightly before he was able to build up enough strength to fashion a makeshift mast and sail – but he was unable to fight the strong currents, with the boat capsizing on two further occasions. He caught rainwater in a bucket and, although he struggled to catch fish at first, he learned that they were attracted to his clothes when he put them in the ocean to clean them. Records show that Louis Jordan sailed out of the marina in Conway, on January 23, with the Coast Guard in Miami notified by the sailor’s father, Frank Jordan on January 29 that he hadn’t seen or heard from his son in a week. One week later, Davis confirmed their son was still missing. Alerts were issued from New Jersey to Miami whilst officials also searched financial data to determine whether Jordan actually had come ashore without being noticed. A search was begun on February 8, but the Coast Guard abandoned its efforts after 10 days. 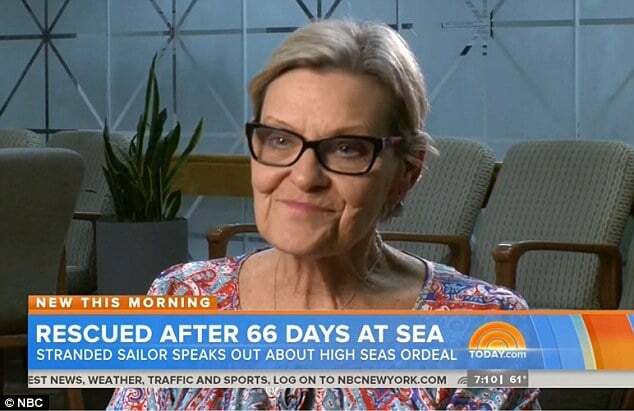 Despite reports from other sailors claiming to have seen Jordan’s sailboat, none of the sightings were confirmed and the case was suspended. 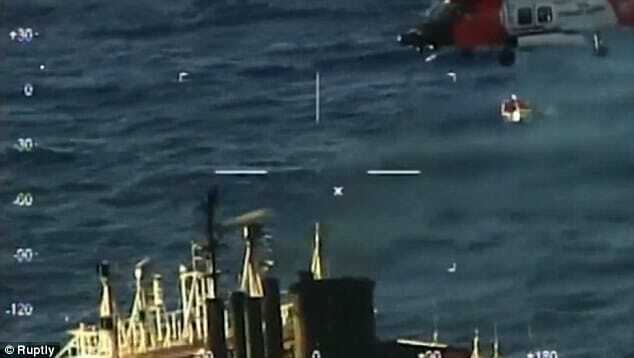 The Coast Guard said Jordan didn’t file a ‘float plan,’ the nautical equivalent of a flight plan, to determine his route or destination, with Coast Guard spokesperson, Marilyn Fajardo telling there wasn’t enough information to narrow down the missing man’s whereabouts. Louis Jordan prior to his fishing trip.